Hello lovelies! Hope you are doing well. 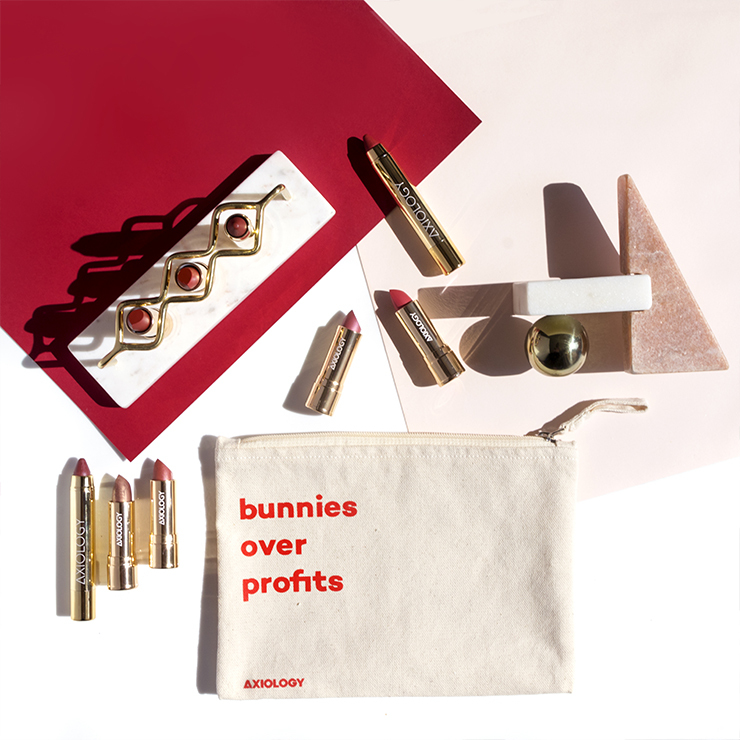 I received the latest Boxwalla Beauty Box on Monday, so let's chat about it, shall we? 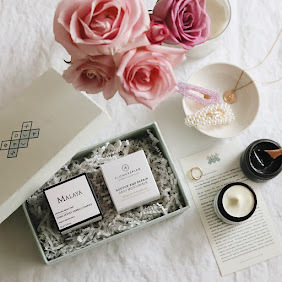 February box brings us two brand new products from the beautiful Siam Seas, a brand that was already featured in Boxwalla. I've tried a few products from them and I have to say that I'm always impressed with Supadra's creations. 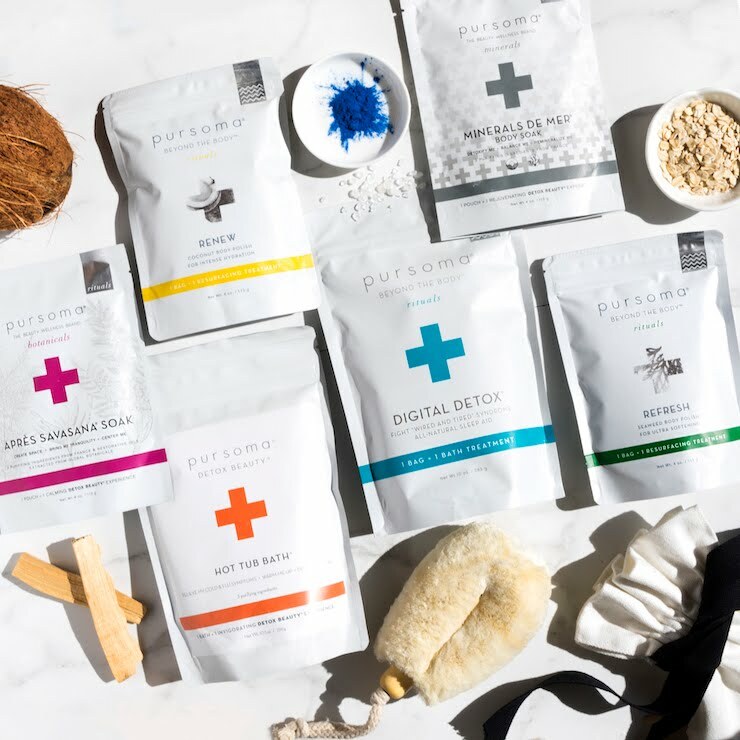 Supadra Geronimo founded Siam Seas in early 2016 and in her line she harnesses the potency of ancient South East Asian botanicals used in Thai medicine, Ayurveda and Traditional Chinese Medicine, combining them with research-backed actives to create something new, yet carrying centuries of ancient wisdom. Supadra creates complex and unique products, with long ingredient lists that always contain plants extracts that I've never seen before. 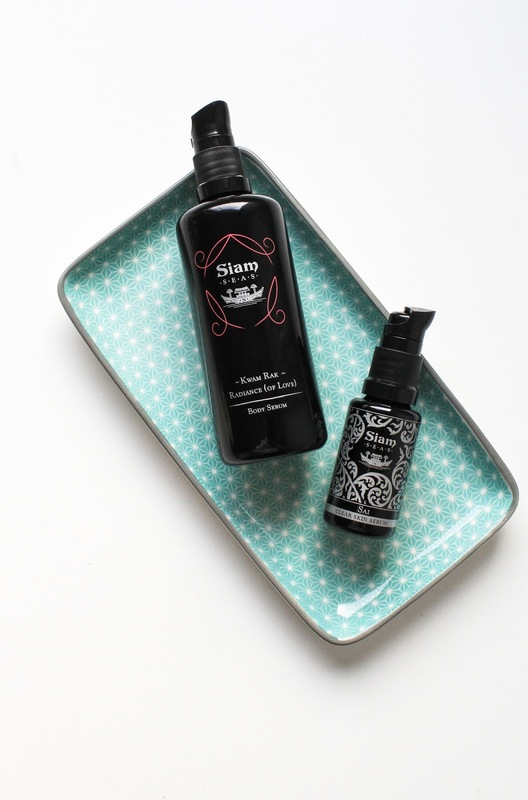 February Boxwalla Beauty Box* themed "Frangipani Fables and Black Rice Tales" contain two new products from Siam Seas: Kwam Rak Body Serum and Sai Clear Face Serum (both full size). You can check out the box here. 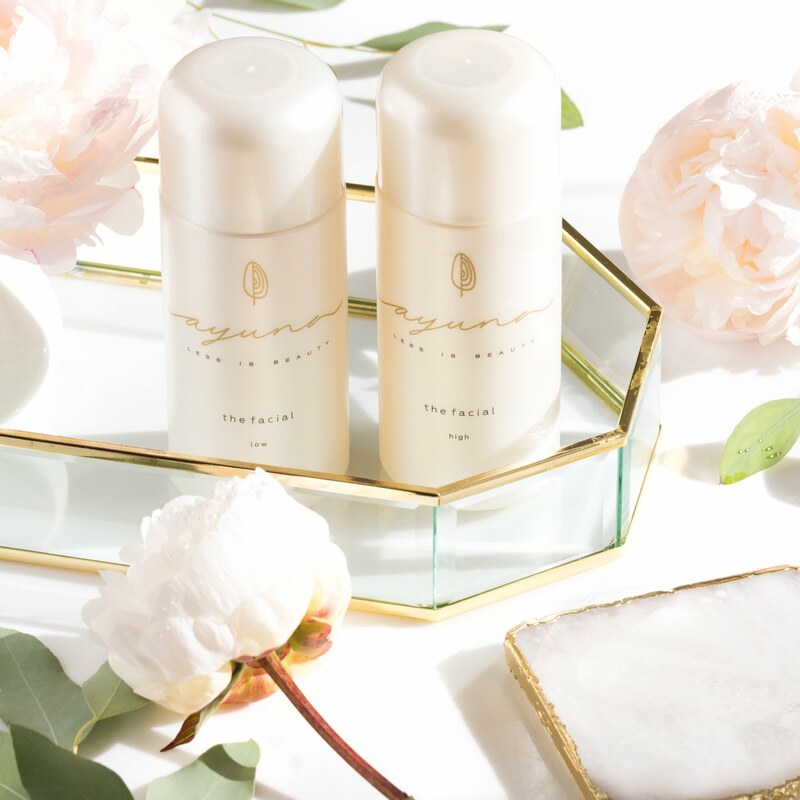 Kwam Rak Body Serum is described as a gorgeous true hybrid body serum that instantly hydrates like body lotion and deeply moisturizes like body oil. Personally I'm a massive fan of body oils but I know lots of you prefer to apply a lightweight body lotion instead. Some body lotions don't moisturize my skin as much as body oils and butters do, so I'm very excited about this new concoction. 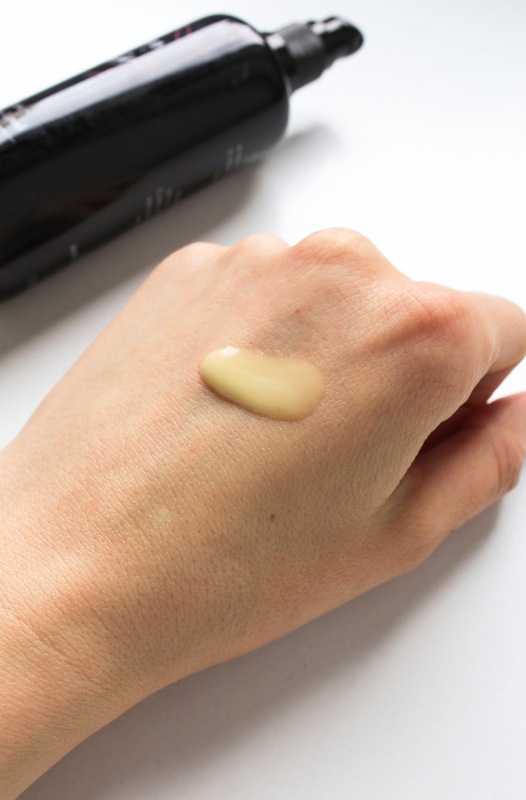 Lavanya (the co-founder of Boxwalla) says that "it goes on like a water-y serum, weightless like gossamer, that instantly gets absorbed, but with an after feel of a rich oil or cream". 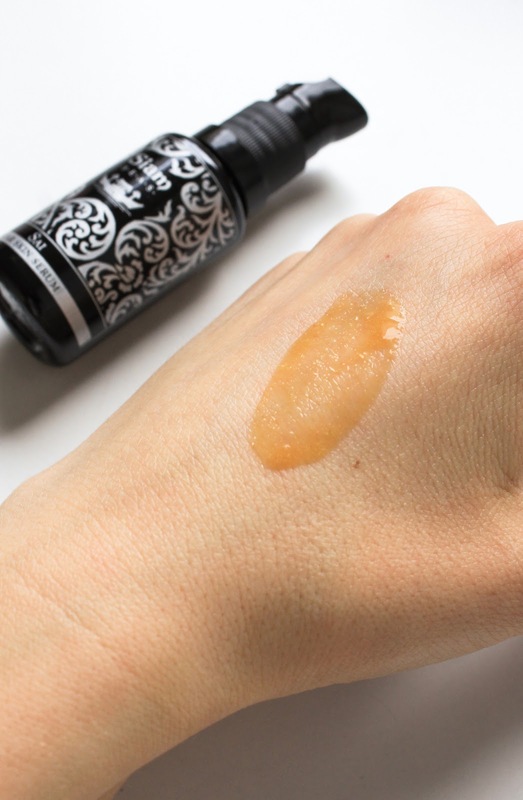 I've tried it only twice so far and it indeed feels very lightweight and is quickly absorbed into the skin, leaving just a slight film that moisturizes the skin. But you know actually this film is more noticeable when I was testing it on my hand rather than on my body. It's a rather unusual product, cause it's so lightweight but after a whole day my skin still feels soft and not dry at all. I've heard some rave reviews about this body serum and I'm thinking to myself "yes yes, I know what you mean". 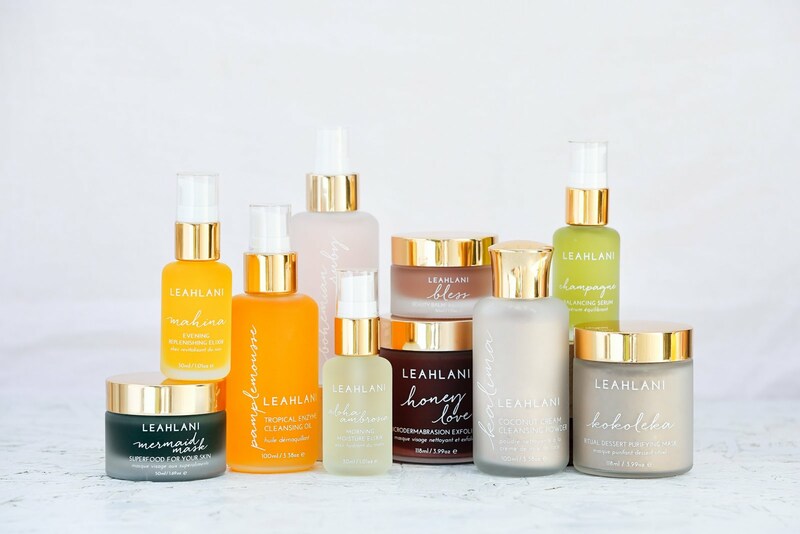 Body products are so much easier to test out, you quickly see if and how they work for you. Kwam Rak, which means love, is made in a base of Aloe Juice and Aloe Inner Fillet Gel, and contains raw, unrefined Mustard Seed Oil, that is used in both Ayurveda and Thai massage to stimulate circulation which in turn helps prevent cellulite and improves the texture of the skin. There are also three types of Ceramides, Pomegranate, Noni, Turmeric, Ashwagandha, Ginger, Green Tea. 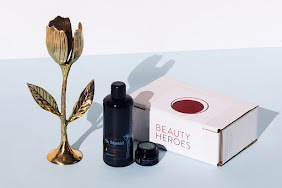 There's also Carbomer, which I know some didn't care for in the Resiliency Face Serum by Earthwise Beauty, from the previous box (see my review here). As for the scent let me say it's strong, intoxicating, floral, comforting, unique, beautiful. It doesn't linger on all day. Perhaps it would be better to write its description: "The grounding scent of Nutmeg and faint Mustard Seed bestow comforting energy before the scent gently transfer into a blooming floral essence of Jasmine Sambac and Frangipani". Sai Clearing Face Serum is "a powerhouse antioxidant serum that synergistically combines a stable form of vitamin C and science-proven actives to create a second skin-like protective layer providing a firming appearance and natural glow". Supposedly this serum does it all, and is suitable for all skin types. 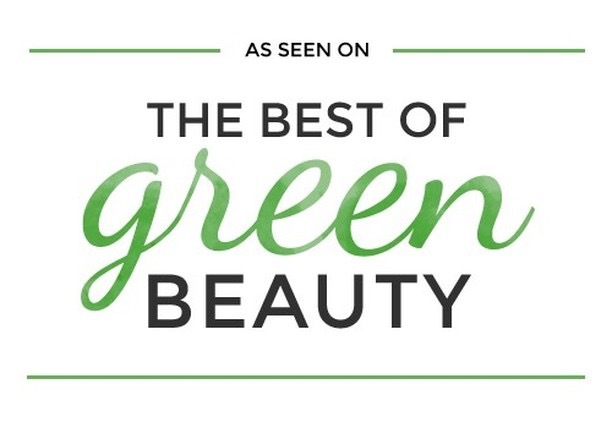 Rich in antioxidants, brightening, calming, clearing, moisturizing, protecting - well sign me up! 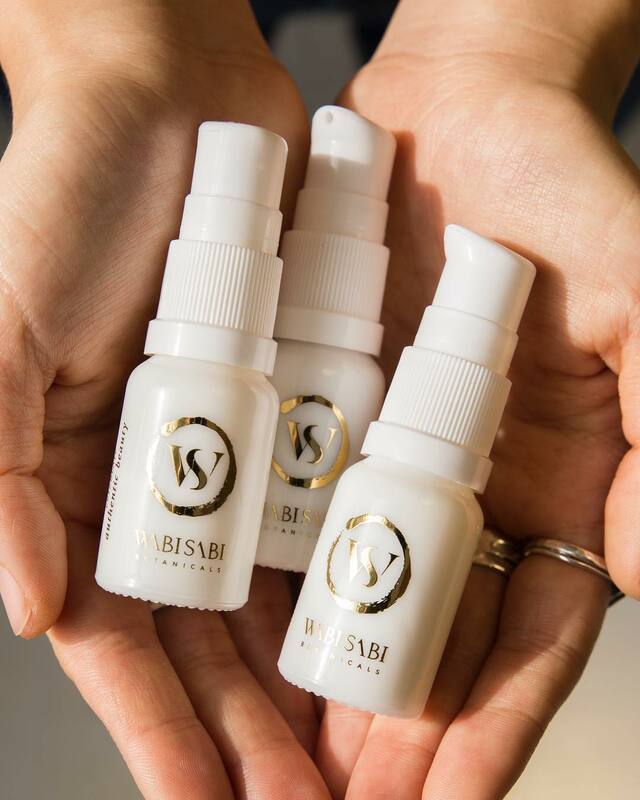 Sai is a water-based serum, made in a base of Black Rice Water along with Turmeric Hydrosol, Sompoi Water (which I think is also known as Shikakai) and Cassia Tora Water (all extracted in-house). 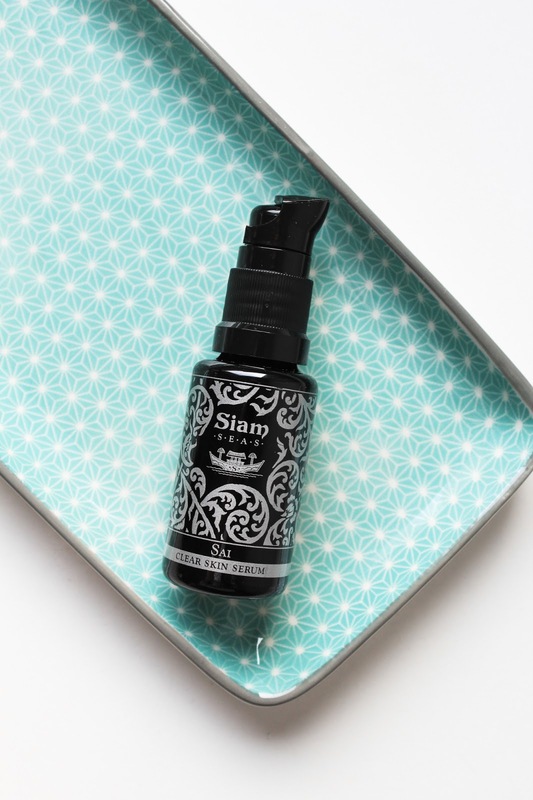 This serum contains a stable Vitamin C Ester and more than 50 (!!) active ingredients including Basil, Green Tea, Ashwagandha, Mangosteen, Frankincense, and some that I've never heard of before like Coptis, Skullcap, Chitrak, Kali Jiri, King of Bitters, and more. It has a very warming and intriguing scent, kinda sweet and cozy. The consistency is lightweight and the serum contains small grainy particles, which are Gypsum (this ingredient speeds up wound healing). 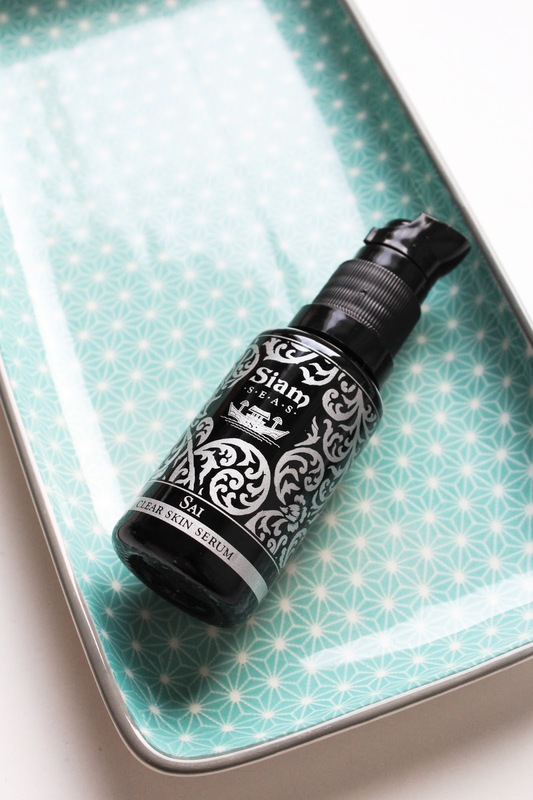 As I just got this box I can't tell you how this serum performs and if it delivers on its promises, but I can tell you that it quickly sinks into the skin and leaves a slight tacky feeling and a radiant look. 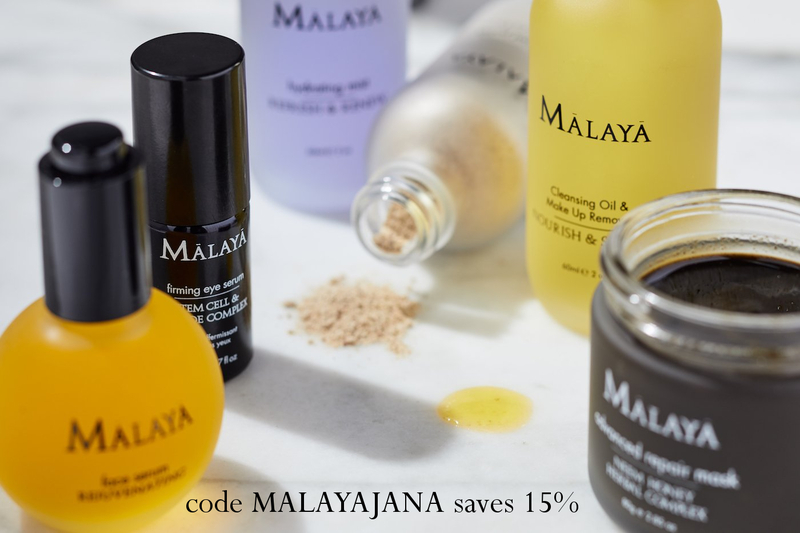 The two Siam Seas products are valued at $155, if you subscribe to Boxwalla you can get them for $49.95. You can get this box here. As is with Boxwalla, you don't actually have to subscribe to their bi-monthly boxes. You can just get this box and then cancel your subscription anytime, which I find very convenient and extremely customer friendly. Find more info here. 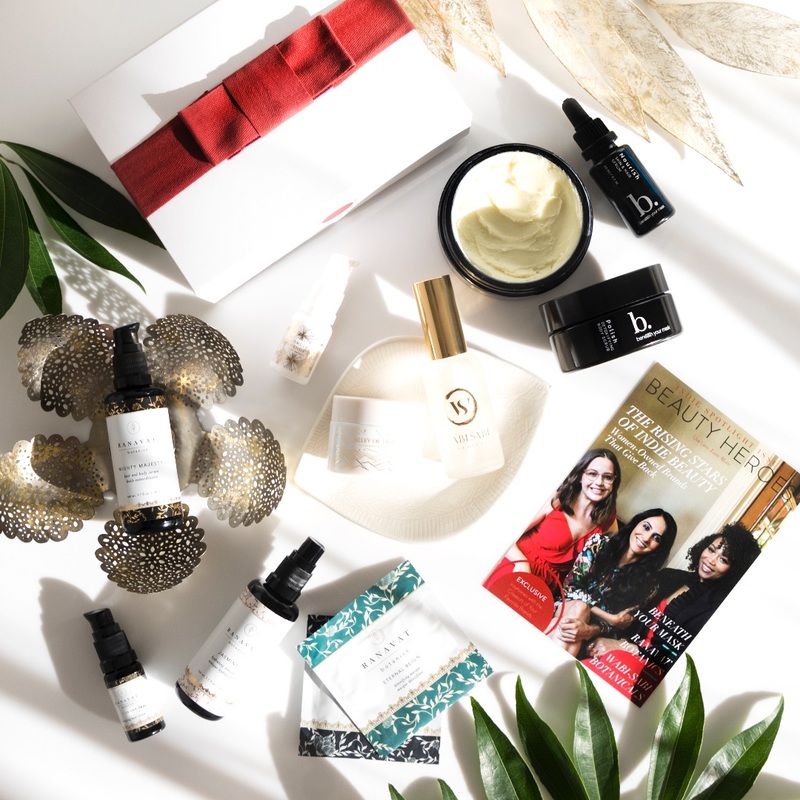 You can get the February Boxwalla Beauty Box until the 10th of February. Ps. 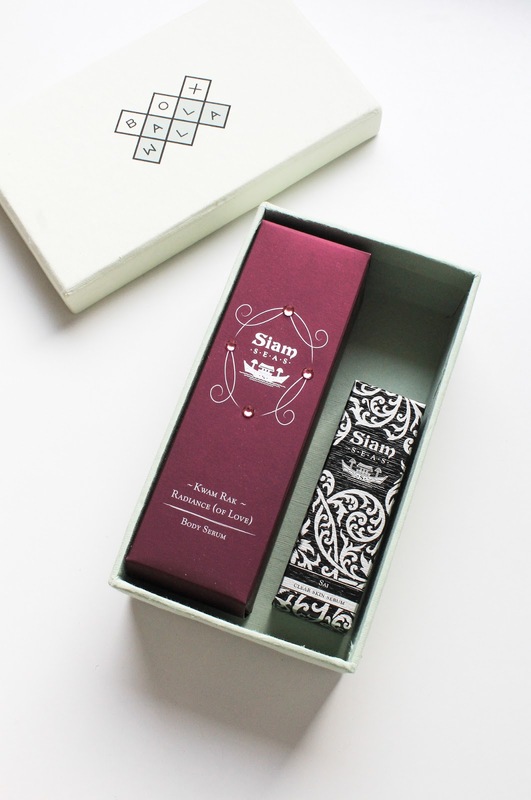 these two Siam Seas products are at the moment only available in this box. Get them here.